From Goodreads: People in Merit, Wisconsin, always said Jimmy was . . . you know. But people said all sorts of stupid stuff. Nobody really knew anything. Nobody really knew Jimmy. This is one of those books that punches you in the gut, mainly because you cringe for the main character, his bad decisions, and the fact that this really could happen. We learn the sad and often gruesome details of this story through the penitent letters of Ben, an extremely sad character who, a victim of circumstance, was at the wrong place at the wrong time, both literally and figuratively. We often ask ourselves, “what if?” when dealing with tragedy. This entire novel hinges on the “what if” as Ben slowly recounts what happened in his hometown of Merit, a place set in its bigoted ways, as he looks back on his not so distant past. Jimmy is a young teen who, faced with narrow-mindedness and prejudice, looks for a different means of expressing himself. Upon the revelation of some sexually charged photos published in a national magazine, both Ben’s and Jimmy’s lives are thrown into turmoil as Ben struggles to clear his “good name” and Jimmy attempts to appease his father and pastor. One lie leads to another, and suddenly the world is turned upside down for Ben, though at no fault of his own. Yet, as he attempts to make Jimmy understand, the unthinkable happens. Murder. In a small town. A hate crime. And Ben saw it all. I have to admit, when the novel first opened, I wasn’t exactly sure where it was going to go. It starts off rather slow, and we learn that Ben has indeed escaped his small town, but he hasn’t escaped his memories, and it is these memories that slowly eat away at his mind. Hence, the letter format that Bick employs as Ben attempts to purge his soul. It is ingenious, and it isn’t until the very end that readers understand the purpose of the letters. Thus, I highly recommend that, though the graphic nature of the novel is tough at times, readers should continue onward to the conclusion. It is an amazing, sad story. This is a breathtaking novel that is all the more scary because it could easily happen, though society would like to think that we are beyond this brutality. 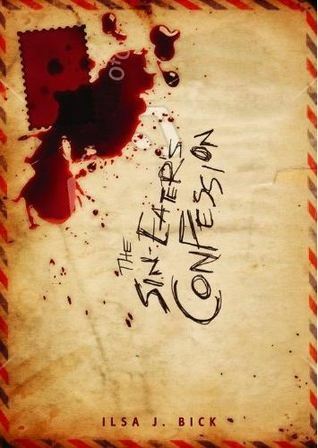 The Sin-Eater’s Confession is a eye-opening novel that stares intolerance in the face. Gruesome and graphic, yet palpable and poignant, Bick’s novel is not one you’ll soon forget. Five stars. Lerner Publishing Group has been extremely gracious in allowing me to read a copy of this novel, via Netgalley.